Tupelo a Dubai based health and wellness technology company has launched mymo a wearable activity tracker that aims to change the way fitness goals are approached. It is a clip on device that focuses on health and activity. The coin sized wearable device tracks users’ steps, distance and calories wirelessly onto an iPhone, Android smart phone or a computer and helps them to maintain fitness level. The wearable works on new innovative algorithm and the wearable is wearable on body not on wrist or clip on figures. The wearable is water resistant and clips conveniently on belt loop or shirt. This device has a 6 month battery life and the battery is easy to replace and can be bought from the official website. Mymo will also offer doctor and coach services that will be a 24×7 support and will be exclusive for premium customers. 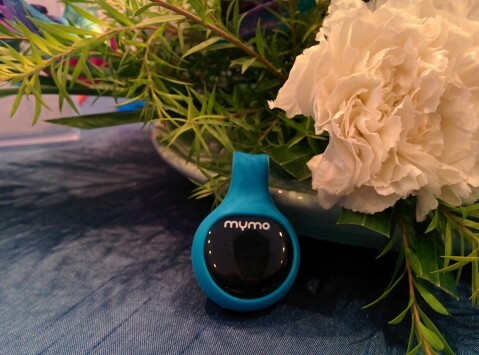 The new wearable in town branded as “mymo” is the first of its kind that tracks your steps, calories burned and distance traveled, and also this smart wearable syncs all the data to your smartphone with the TupeloLife app on your smartphone. Mymo uses Bluetooth technology to connect to your smartphone but in addition to Bluetooth version the device will also be available in Ant version which will be used in business organizations where smartphones are prohibited. Mymo is the first and only device that offers rewards to keep you motivated, the more you move the more MyMiles you earn and in addition to this you can also challenge your friends from the TupeloLife app on your smartphone. The earned MyMiles are effective currency and can be redeemed for amazing rewards like talk time, groceries, gas and international vacations, So more miles you walk sooner you will be at a vacation. Tupelo has also launched a promotional offer called “Go4Gold” it is a 3 month contest starting from 1st October 2014 and the top 100 “MyMiles” get a gram of gold and in addition to this you earn bonus miles for every friend you refer during the contest period. Mymo will be exclusively available at amazon and tupelolife. The device will be available in two packs – the “mymo base pack ” will be available for 3999 INR and “mymo summit pack” for 9999 INR which includes sound analytics and back end support. Previous articleMotorola Announces Moto X, Moto G And Moto 360!